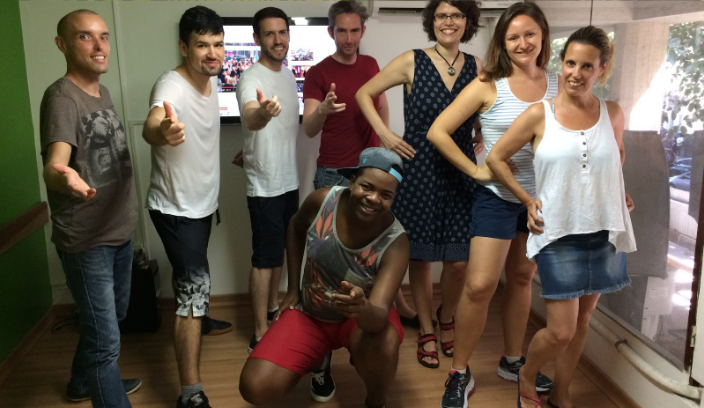 In the rhythm of the Samba - Learn Portuguese, discover Rio - RioLIVE! In the rhythm of the Samba. Students posing for the photo at the end of the class. 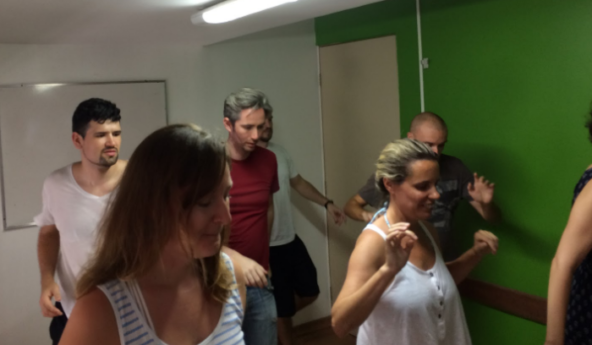 Ayer tuvimos una clase de samba, aprendimos los pasos básicos con un profesor carioca. Bailamos y también nos divertimos mucho. Me sentí carioca por un día, una experiencia inolvidable. 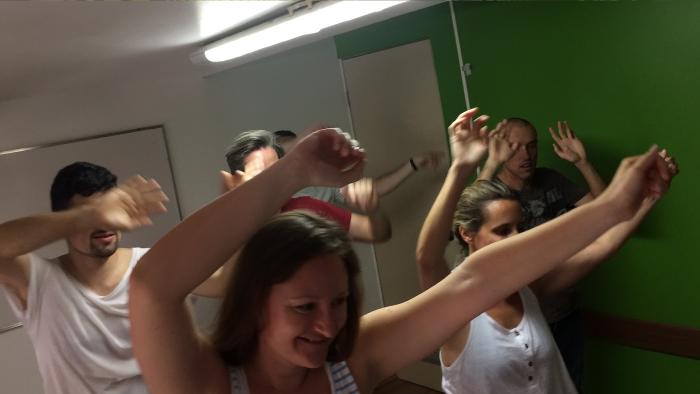 Yesterday we had a special class at school, because students could feel themselves in the rhythm of the Samba! 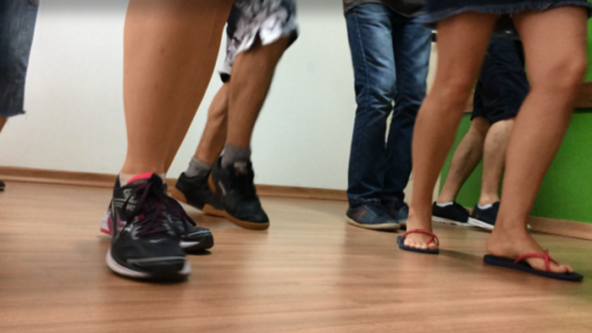 Between laughs and dance steps, the students learned how to dance one of the most incredible rhythms of Brazil. It was not only about learning the dancing style, but also the culture that comes with it. Samba is classified as an energetic, fun and fast dance style and Brazilians love to dedicate their time to listen to samba and to dance as well. 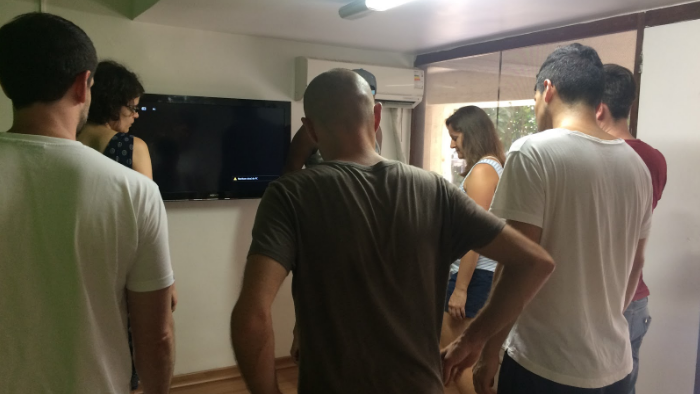 The instructor of the class – Castrinho – Made sure that everybody could stay in a happy and cozy environment, by helping each student to be comfortable in the class and to interact with each other. Castrinho teached all the movements step by step and as time went by the students could see their improvement and started to cut loose from shyness. 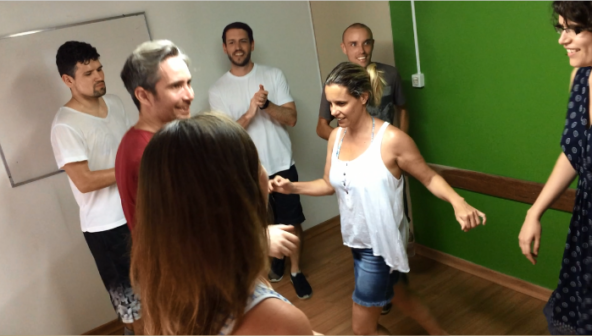 At the end of the class, Castrinho got all the students together to join him in a traditional Roda de Samba! In a circle and in pairs, the students could show their Samba skills and also feel the Brazilian culture running in ther veins. We are sure they loved it! Now it’s your turn to join us in our RioLIVE! activities and to learn more about Brazil!